The ABBY Awards have come up with a rather creative way to introduce its 'Master Jury' to the general public. The award show, which is presented by the Advertising Club and the Advertising Agencies Association of India (AAAI), has launched an outdoor campaign featuring its jurors' mugshots on billboards across the city of Mumbai. A total of 20 billboards have been put up for the campaign which went live on March 5. Each hoarding introduces the juror with a quirky spin of words, making a reference to the person's previous work. Ajay Kakar, chairman, awards governing council, ABBY Awards 2018, tells us, "We decided to do a campaign that has each of the 15 members of the Master Jury reach out and speak to the creative industry at large, with an invitation to partake in the Abby Awards 2018. 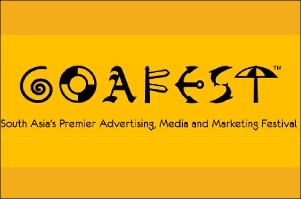 Each Jury member is provoking, inspiring and nudging people to earn an Abby, by impressing the best of Indian advertising." Interestingly, McCann Worldgroup has crafted this campaign pro bono. "The team from McCann was passionate in supporting our mission to enhance the Abby brand," says Kakar. The apex industry award will be held in Goa between April 5 and 7, 2018. 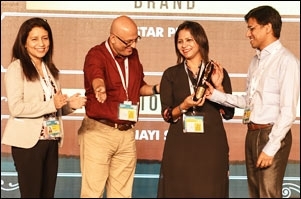 "The Abby Awards are a brand in itself; carefully nurtured over decades," shares Kakar and adds, "But now, in its 50th year, the Abby Awards 2018 has seen some key changes in the format. Our belief is that an award is as good as the people judging it. Therefore, this year we have ensured that we adopt a 'Jury of Masters' strategy across every category of the Abbys; be it Creative, Media, Specialist or Craft. For the first time ever, we have announced a Master Jury for the Creative Abbys. 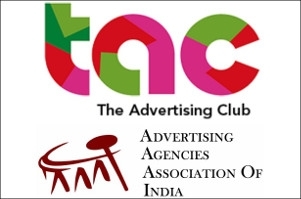 This Master Jury, comprising the most illustrious and awarded names in Indian advertising, will judge the Creative Abbys across the 8 categories and 8 verticals." The Master Jury comprises of Prasoon Joshi (McCann Worldgroup), Agnello Dias (Taproot), Amer Jaleel (Mullen Lintas), Arun Iyer (Lowe Lintas), Alok Nanda (Alok Nanda & Co.), Abhijit Avasthi (Sideways Consulting), ‎Bobby Pawar (‎Publicis Worldwide), K.V. Sridhar (Hyper Collective Creative Technologies), Nitesh Tiwari (Leo Burnett), Prashant Godbole (Ideas@work), Raj Kamble (Famous Innovations), Raj Deepak Das (‎Leo Burnett), Santosh Padhi (Taproot Dentsu), Senthil Kumar (J. Walter Thompson) and Swati Bhattacharya (FCB Ulka).